Smarter scales for a healthier you. 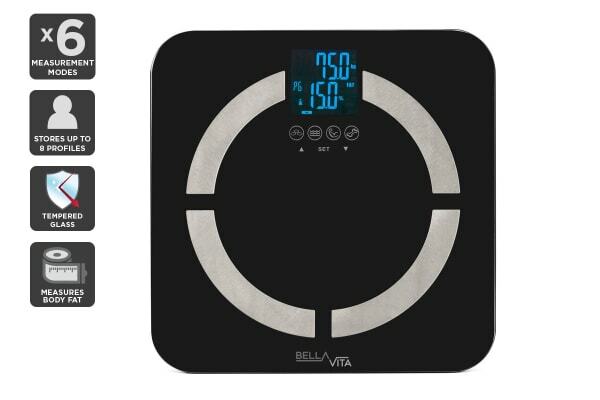 The ideal fitness companion, the Bella Vita Digital Body Weight Scale easily and accurately measures and tracks your BMI, body fat and more on the one handy device! Instantly calculates weight, body fat, hydration and more! A smarter scale for a fitter and healthier you, Bella Vita Digital Weight Scales will effortlessly and easily help you manage and track your weight and fitness goals. Providing in depth and detailed measurements, you’ll quickly and comfortably generate a detailed picture of your body size and weight with 6 different measurement modes, including weight, body fat, BMI, hydration, muscle AND bone mass. No need for gym-scales or gimmicky apps to track your progress! 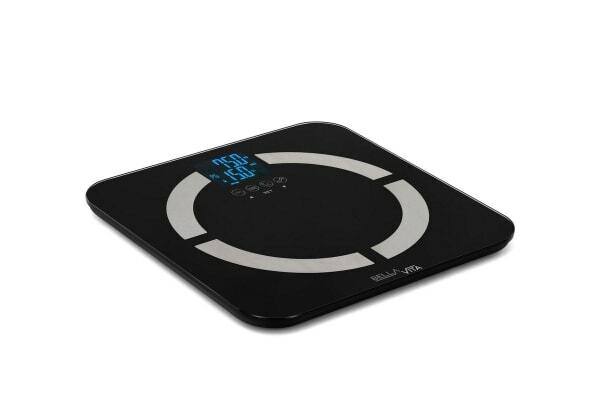 Equipped with three touch sensitive buttons for easy operation, auto-recognition and the capability to distinguish up to 8 different users at once, these smart scales are ideal for a family or a group of people training together. So say no to excuses and conquer those fitness goals! 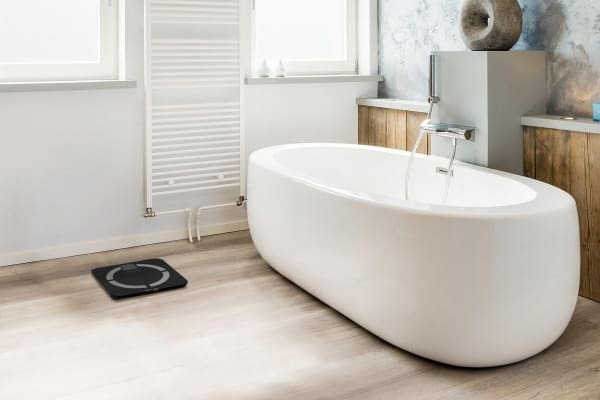 Boasting an elegant reflective surface, easy to read high-contrast LCD screen with blue backlight and high-quality impact resistant tempered glass – four times stronger than normal glass – these incredible scales are a stylish and functional addition to any home, bathroom or gym.